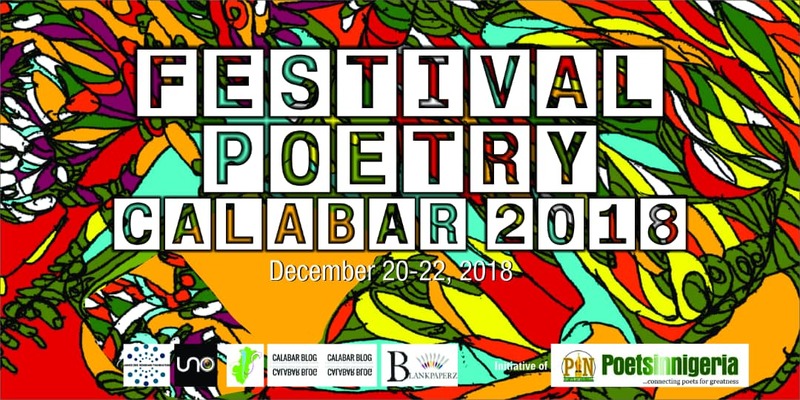 Poets in Nigeria (PIN) is pleased to announce the programme details and invite literary enthusiasts to the fourth edition of Festival Poetry Calabar (FPC). Themed “The Problem with Silence: Poets in Crisis Periods”, the annual poetry fiesta will hold in the city of Calabar from 20th to 22nd December, 2018. There will however be a pre-festival poetry walk aimed at creating awareness for the event on the 19th of December. The 3-day event will host poets, writers, artists, literary critics, social commentators and lovers of literature from different parts of the country, thereby elevating arts and literature above ethnic and geographical barriers. Notably, the fourth edition of FPC will examine the roles of poets in periods of crisis via two rounds of panel discussions featuring poets, writers, literary administrators, journalists and social advocates such as Odoh Diego Okeyodo, Chuma Nwokolo, Jonathan Abang Ugbal, Hope Obetan, Joseph Okorn, Kalejaye Folajimi and others. Also, a keynote address exploring the theme of the festival will be delivered by Prof. Joe Ushie from the University of Uyo while the book chats will focus on the works of Agbor Enya (Lines from the Scroll), Kolade Olanrewaju Freedom (Punctured Silence) and Awodiya Funke (The Farmer’s Daughter). Additionally, Mr. Oribhabor specifically mentioned “Sight and Sounds of Calabar” as one of the key activities of the festival that will expose the participants to both fun and learning. “On the third day of the festival, we will be visiting symbolic places such as Old Residency Museum, Oldest Music recording studio in West Africa and Aqua Vista. “If we do not learn from history, it will be difficult to have a grasp of the present,” he added. Since inception in 2015, Festival Poetry Calabar has been championing a literary renaissance in the city of Calabar. Panel Discussion: Calabar: A Silenced Paradise?